Sometimes a lovely gesture warrants a small gift, nothing too elaborate but something that is attractive, wearable and shows you appreciated a friend's or family member's kindness. 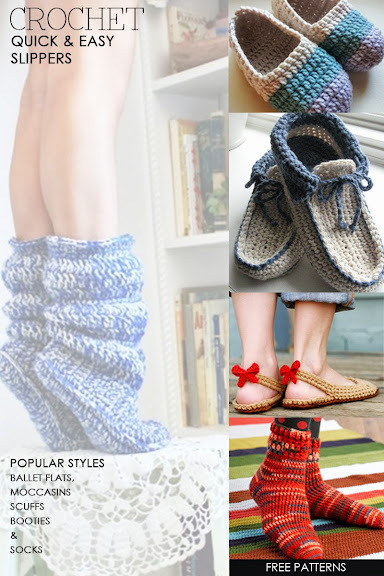 There are times when crocheted slippers make an ideal gift. Perhaps an invitation to the cottage. 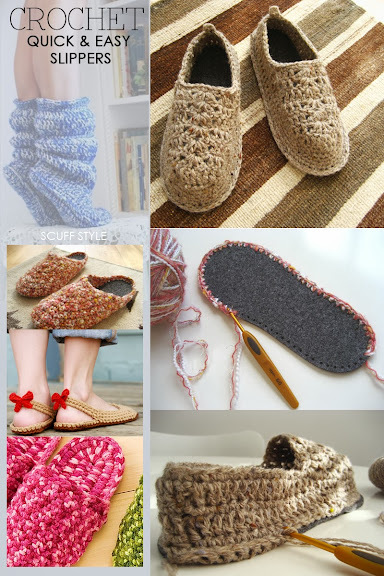 You can never have too many slippers. 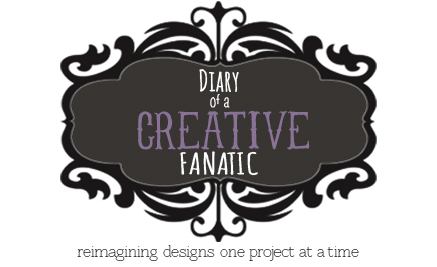 This is something I am very familiar with. The McGuire family "get togethers" are large and not everyone thinks to bring slippers or indoor shoes to slip on when the weather outside is wet and muddy. 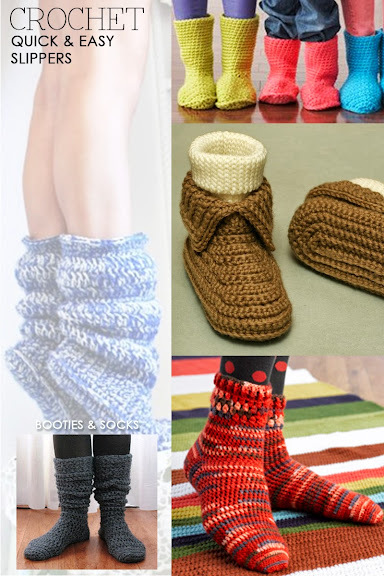 the full blown "ugg-style" bootie. An interesting way to attach a felt sole is also included should you wish a stiffer and sturdier sole. 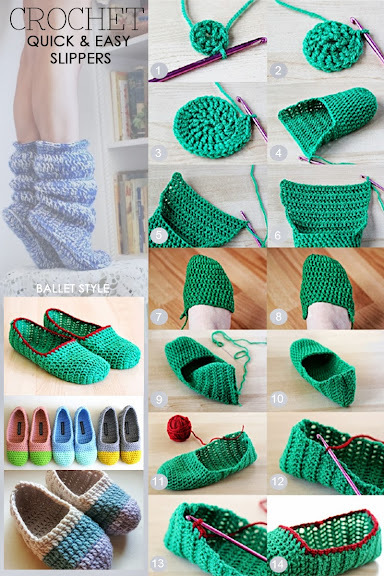 Read about several ways to make your slippers nonslip . 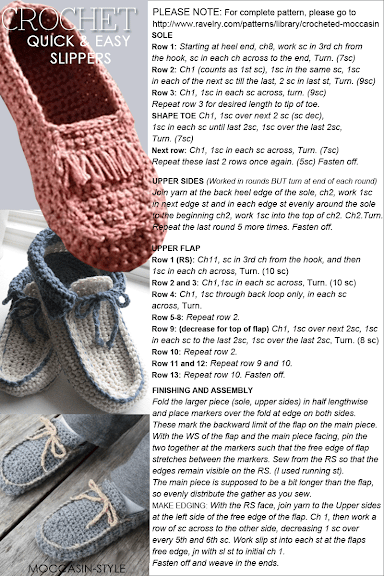 Read further for more inspiration, instructions for different styles of your next slipper project.